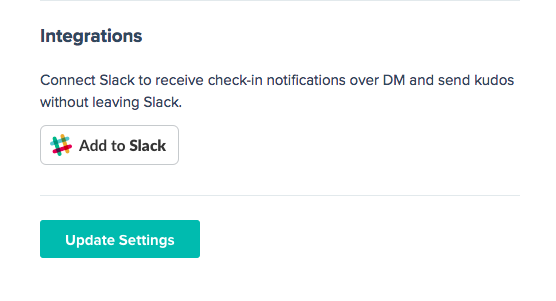 Are you one of the 8 million people who use Slack on a daily basis? 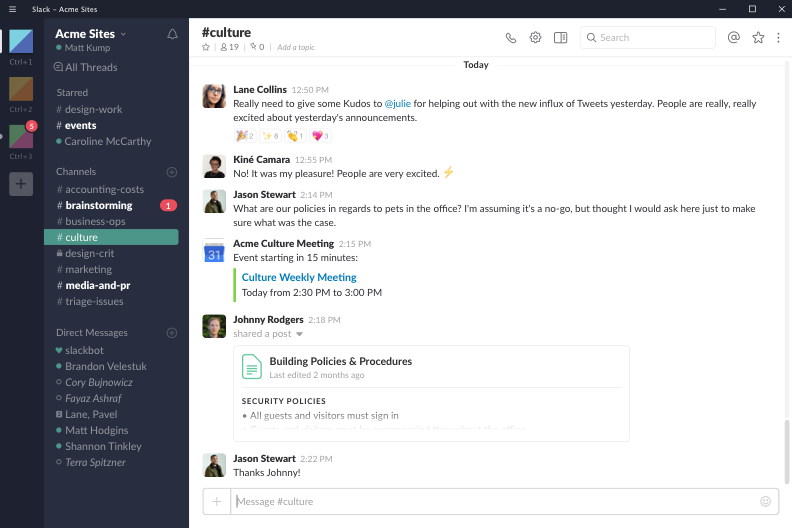 If you’re like me, you find that Slack is a great way to communicate back and forth with others, especially as a remote team. With that being said, it can be tough at times to understand what people are working on, especially as a team leader. You want to make sure that the team is aligned, but you also don’t want to hold a meeting (that’s probably inconvenient as the team is located in several time-zones) or act like a micro-manager. It sounds like you should incorporate daily standups into your work routine. Traditionally, these are in-person meetings, but as a remote team, this is impossible to do. We recommend doing this asynchronously, it’s way better for people on a maker’s schedule. HOW DO I DO STANDUPS IN SLACK? Do you want to keep track of these notes over time? Do you want built-in reminders? Do you want to deliver the notification in the user’s timezone? Now that these considerations are out of the way, let’s dive into how to actually set this up. The easiest way to get started with a Slack standup is to set up a reminder. You can see exactly how this works in this article. /remind @devs every weekday at 9am to answer the following questions - What did you do yesterday? What are you doing today? Any blockers? While this reminder is easy to setup (and free), it doesn’t offer much for customization. For example, there’s no ability to deliver the notification in the user’s timezone. The results are technically stored in the channel, but there’s no reporting options. 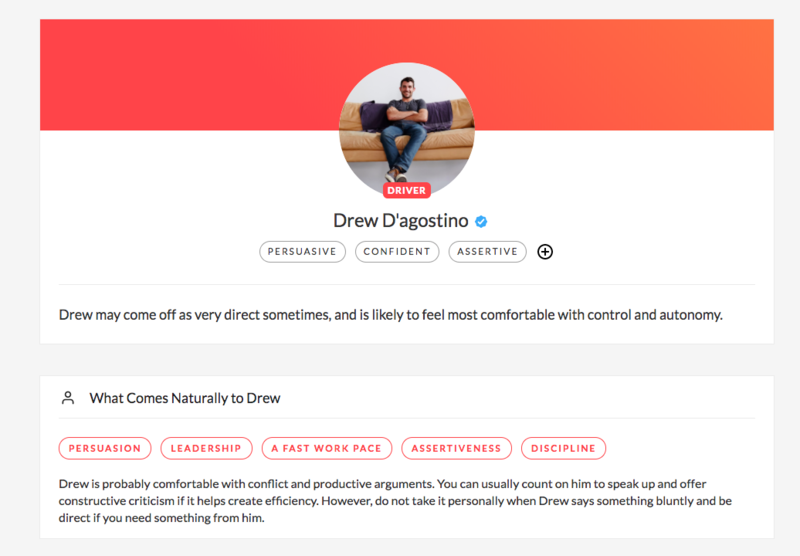 In addition, if you lead a team, it can be tough to see someone’s contributions over time (responses don’t roll up to an employee profile). If you want something a bit more sophisticated, check out the various Slack apps offered that help you run standups. Most of these apps are similar in that they offer the ability to customize questions, automate reminders, and automatically generate standup reports. The downside to this approach is that these apps aren’t free. Pricing typically runs about $3/mo per person. Some of these apps allow you to customize who is part of the team, while others will be automatically calculated based on your Slack team size. In either scenario, you’ll need to give your team a bit of advance notice to make sure you get buy-in. If you setup a standup cadence and the team doesn’t know, utilization will be low. As a distributed team it can be tough to understand what everyone is working on. That's why we've decided to start running daily standups. You can read a bit more about how this works here. We'll start by sending a reminder every workday at [insert time here] in [insert slack channel]. Please make sure to complete this as soon as you are able. Thanks!" If you lead a team, we recommend aggregating an individual’s results over time and using them in 1-1 meetings and other development conversations. While the data isn’t comprehensive, it can provide a great foundation for the velocity of work someone is doing.